Niskayuna Senior Citizen’s Day — Sunday, Aug. 21. We have an expert-led walk-in clinic on the first Tuesday of every month from 9 a.m. to noon, and an instructor-led computer class the third Tuesday of every month at 10 a.m. These classes are free to our members. Join our expert, Tom Krauser, to expand your computer skills in our computer lab, located on the first floor of the Senior Center. We offer door-to-door bus transportation to Niskayuna residents ages 60 and older each Tuesday and Thursday between 10 a.m. and 2 p.m. for $5 per round trip. The bus can be used for transportation to the Senior Center for our programs and lunch, or for appointments and shopping within Schenectady County. If you are new to us, please call 372-4969 for an appointment. Returning patrons can call 495-6202 to schedule transportation. Chef-prepared meals are served at noon for a cost of $5. 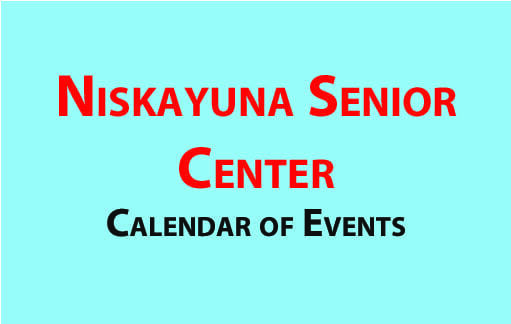 Monthly menu/activity calendars are available at the Senior Center, Niskayuna Town Hall or online at www.niskayuna.org — click on “senior programs.” We offer a vegetarian entrée on the last Thursday of each month. The Senior Advisory Committee helps plan senior programs and activities, and advises the Town Board regarding senior issues. The committee meets monthly at Town Hall on the last Friday of each month at 10 a.m. If you are interested in participating, contact Lisa Weber, chair of parks and community programs, by email at lweber@niskayuna.org. Become a member and receive email notifications of events and trips, as well as newsletters mailed directly to your home. You can also connect on Facebook at www.facebook.com/NiskayunaSeniorCenter. Please call the center for more information.